Colonial Post and Fence is a Retailer and Contract installer of Fence and Railing products in the Residential, Commercial and Agricultural markets. Serving the Ohio River Valley from Cincinnati, Ohio to Ashland Kentucky. We provide Residential Fencing Services for Cincinnati, Ohio and the surrounding area. Below, you will find a summarized list of some of the types of fences and fencing materials our company installs, maintains, and repairs for customers: Privacy Fence Chain Link Fence Swimming Pool Fence Vinyl Fence Picket Fence Residential Fencing Please be aware that this list is not exhaustive. We also frequently assist customers with other types of fences as well. If you are unsure whether we will be able to help you, please contact us (513) 808-4533. 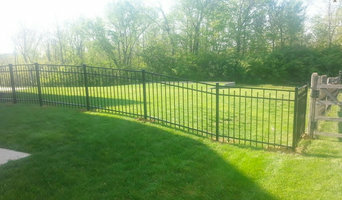 Eads Fence Company was founded by Dale Eads in Cincinnati, Ohio in June 1980. Eads Fence Company both sells materials for do-it-yourselfers and professionally installs all types and styles of fences and related products for residential, commercial, and industrial applications throughout the tri-state area and beyond. We have built a strong reputation on values like honesty, personal attention, quality workmanship, and great service at a fair price. We pride ourselves in providing your children with safe play areas, containing your pets, and offering products that add to the beauty and value of your home or business. We turn your ideas and dreams into reality. We work with you to insure quality and value for your investment. We invite you to visit the Midwest's largest fence showroom to view our fences and other products in person or contact us for an on site estimate. The Super Fence Store. Your single source for all your fencing and custom gates needs. 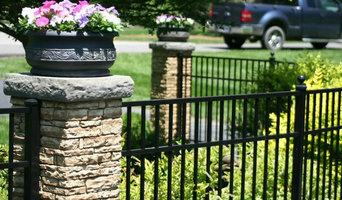 Eads Fence Company was founded by Dale Eads in Cincinnati, Ohio in June 1980. Eads Fence Company both sells materials for do-it-yourselfers and professionally installs all types and styles of fences and related products for residential, commercial, and industrial applications throughout the tri-state area and beyond. We have built a strong reputation on values like honesty, personal attention, quality workmanship, and great service at a fair price. We pride ourselves in providing your children with safe play areas, containing your pets, and offering products that add to the beauty and value of your home or business. We turn your ideas and dreams into reality. We work with you to insure quality and value for your investment. We invite you to visit the midwest's largest fence showroom to view our fences and other products in person or contact us for an on site estimate. M & M Construction & Remodeling 6028 OH-727 Goshen, OH 45122, United States 513-625-1560 mmconstruction99@aol.com <a rel="nofollow" target="_blank" href="http://www.mmconstructionremodeling.com/">http://www.mmconstructionremodeling.com/</a> When your home sustains damage from an unexpected incident, such as a flood or fire, you need a reliable contractor who will complete the necessary repairs quickly. 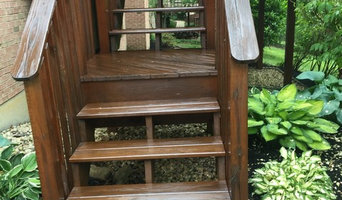 AtMM Construction and Remodeling, the experienced team of general contractors has been providing home and business owners in the Greater Cincinnati, OH, area with superior-quality home improvement, restoration, and renovation services for over 15 years. The team at MM Construction and Remodeling is experienced in working in a range of settings, from historic homes to multi-unit apartments to office buildings. The services they provide include: Home Improvement:Whether you’re doing some simple remodeling or working on a complete house renovation, the contractors at MM Construction and Remodeling have the skills to create your ideal living space. Water and Fire Damage Restoration:MM Construction and Remodeling knows how stressful the repair process can be, and they’ll be there for you from start to finish. If you’re in need of immediate repairs, call MM Construction and Remodeling’s 24-hour emergency restoration line. Insurance Work:MM Construction and Remodeling is dedicated to providing their customers with superior-quality work at an honest price. They use the same estimation software as the majority of the insurance carriers in the Greater Cincinnati area. In fact, working with people and their insurance companies after a disaster is one of MM’s specialties. When it comes to renovation and remodeling, no project is too big or too small for the team atMM Construction and Remodeling. They do great work for an affordable price, which is why they’re the Greater Cincinnati area’s best construction repair company. For more information, or to schedule an appointment to get your free estimate, visit theirweb site or call(513) 625-1560today. The same applies to gates, which are even harder to build and install yourself, unless you are a practised carpenter, craftsman or builder. So if you want one-of-a-kind fence and gate designs that can be fitted by professionals, or perhaps just fence repair, then you should take a look at the Moscow, OH gate manufacturers and fencing contractors listed on Houzz. With Houzz you can browse through gate manufacturers and fencing contractors in Moscow, OH to find a professional to work on your project. Check reviews, recommendations, ratings and photos of their previous work to decide if you want to contact them about your fence or gate. Gate and fencing contractors in Moscow, OH will be able to advise you on the best materials to use and how to look after your fencing. Aside from designing, building and installing your fence or gate, a specialist may also offer fencing supplies, materials and fence repair services which will help you maintain your bespoke fencing and gate designs. 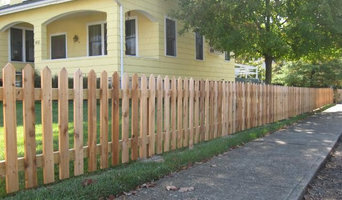 Whether you are looking to build a traditional wood panel fence, commission an elaborate wrought iron gate, want a quaint white picket fence or a large, electric gate to shield your home from public view, you’ll be able to find Moscow, OH gate or fencing contractors on Houzz that have the specialist expertise to carry out the job. You may find that gate and fencing contractors also work closely with lawn and landscape professionals. Here are some related professionals and vendors to complement the work of fencing & gates: Wrought Iron Workers, Decks, Patios, Sheds & Summerhouses, Cladding & Exterior Contractors, Landscape Contractors, Landscape Architects & Garden Designers. Find gate and fencing contractors on Houzz. Narrow your search in the Professionals section of the website to Moscow, OH gate and fencing contractors. You can also look through Moscow, OH photos to find examples of fencing and gates that you like, then contact the contractor who worked on them.